with the government on this issue tomorrow (February 16). Union Finance Minister, Arun Jaitley, in his Budget speech, had announced a proposal to merge the three public sector general insurers into a single company. The combined entity would be subsequently listed, Jaitley had said while presenting the Budget 2018-19 in Parliament. "There is a departmental meeting on February 16th to discuss Budget pronouncements," M N Sarma, CMD, United India Insurance, said on the sidelines of an insurance summit by Assocham in Kolkata on February 13. "The merger is expected to be complete before the government presents the vote of account early next (calendar) year," added Sarma, saying that the merger would lead to rationalisation of offices, but would not entail any job cuts. 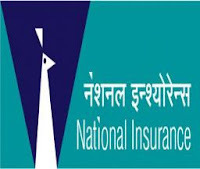 Earlier, K Sanath Kumar, CMD, National Insurance too had said the government that the merger is likely to be complete by the end of next financial year. "I was told that the merger would be most likely finalised by the end of next financial year. 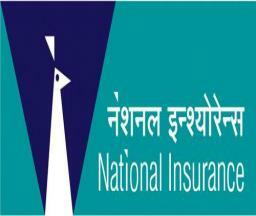 The Insurance Nationalization Act has to be amended and necessary permission for the merger has to be acquired from the IRDAI. Share transfer is not a challenge, as 100 per cent of it is held by the government," Kumar had said. At the February 16 meeting, there could be discussions on the modalities of the proposed health insurance scheme to provide a cover of Rs 500,000 to 100 million households, as announced by the government in its Budget. "IRDAI data says that about 465 million people have been covered by one or other type of health insurance. We have been articulating that linking the total insurance premium to GDP does not really reflect the achievements of the Indian insurance industry. Instead, there should be an index reflecting the number of people covered under health insurance," said Kumar.